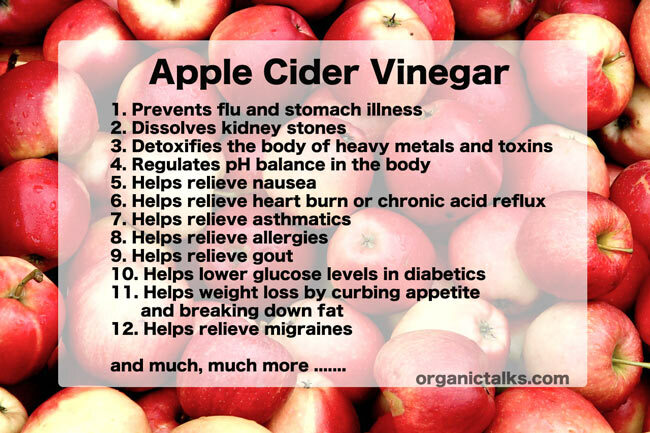 Apple Cider Vinegar should be a staple in every home. It has a wide variety of uses and you can’t beat it as far as low price for health care! ACV is anti-fungal, anti-viral, and anti-bacterial. (Drink 1-2x’s a day for two weeks on, two weeks off. Then maintain by drinking 3-4x’s a week thereafter. This is just what I recommend because I’m a believer in too much of anything isn’t usually the best). Drinking this recipe is a little like drinking beer or coffee for the first time. It’s an acquired taste. I love it now and enjoy it just as I would a cup of herbal tea. Applying ACV topically on infected areas can burn so be careful if you use on children, but don’t be scared to try it if diluted properly. Amber Higgins is the author of the blog Mama’a Worldview Blogspot, where this article originally appeared. Disclaimer: This article is not intended to provide medical advice, diagnosis or treatment. Views expressed here do not necessarily reflect those of organictalks.com or its staff. Read our full disclaimer here.